There are a lot of reasons braces can be necessary past the teenage years, but only one reason to avoid them: unfounded fear. If you are a candidate for braces — whether for the first time ever or because your teeth have shifted over time — and you’re still on the fence about them, allow us to clear up a few of the misconceptions that might be holding you back. “I’m the only one who needs braces at this age …”: We promise you, you’re not. Adult braces are far more common than you might think. In fact, about one orthodontic patient in four is an adult, according to the American Association of Orthodontics. Also, two words: Faith Hill. The country musician impressed many a fan in 2013 when she attended the Grammys wearing braces — and not just as an ironic accessory. 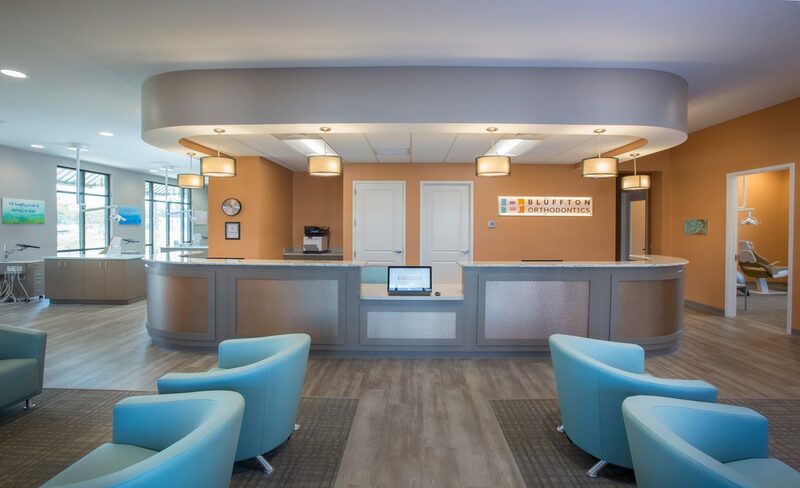 Going to the orthodontist is akin to going to a pediatrician: At Bluffton Orthodontics, we have a long list of patients who are far past their teenage years, and our state-of-the-art office includes space for those who aren’t squeezing in appointments between soccer and piano lessons. Having braces as an adult will make me unattractive: Not even close. Orthodontic treatments have come a long way; even traditional metal braces are more inconspicuous than they once were. Depending on your treatment needs, there are a number of options to minimize any facial changes. At Bluffton Orthodontics we offer clear braces, ClearCorrect clear aligners and ForeverGold gold braces, all of which have become go-to choices for adults in recent years. It’s not worth the effort. Braces will not only straighten your smile, they can improve your overall health. Your orthodontist might recommend braces to help alleviate headaches by aligning your bite or to promote better oral hygiene by making it much easier to brush and floss formerly crooked teeth. Braces can also help you speak more clearly and improve your ability to chew and digest food. If you have any questions about getting braces as an adult or if you would like to schedule a free consultation with Bluffton Orthodontics, call us at 843-970-9316.